This system sets up in minutes and includes a 1080p webcam, a computing device running the TurboMeeting client, and a microphone and speakers with echo cancellation. It can support two HD TVs or HDMI projectors. And it can record sessions and store them on attached storage or network storage. It can allow for live streaming or webinar broadcasting to hundreds or thousands of attendees. Those not in conference rooms can be part of a meeting or other experience via Android, iOS, or PC or MAC devices. Pricing for the solution starts at $995. It features free dial-in in 28 countries. And it works with the company’s TurboMeeting servers. Sales in audio conferencing endpoints has been muted in recent years. But Frost & Sullivan expects this category to stage a comeback. Growing interest in huddle rooms should give it a push, the research and consulting firm suggests. Meanwhile, the videoconferencing market is expected to grow from $16 billion to $41 billion by 2022. 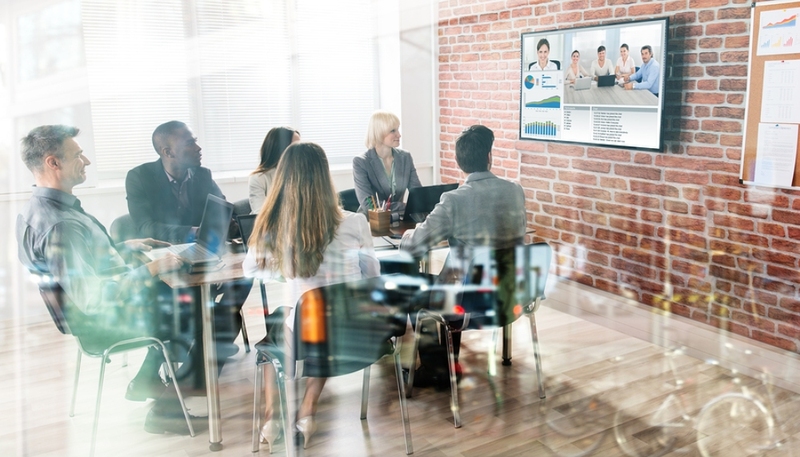 The State of Videoconferencing Report from Owl Labs indicates that Zoom Video Communications and Skype for Business together own 45 percent of the videoconferencing market. It added larger outfits tend to prefer Skype for Business, while those with 500 or fewer employees cotton to Zoom.